It's hard to underestimate how advanced a design the Series B Vincents were upon their introduction immediately following World War II. "Frameless design, multiple functions in many parts, the adjustability of controls, quickly detachable wheels – with these developments the Vincent explored what the motorcycle could be, rather than merely elaborating what it had been," states technical writer Kevin Cameron in The Art of the Motorcycle book. On April 27, 1946, an unpainted fuel tank arrived at the Stevenage factory and was hastily installed on the prototype Series B Vincent, engine no. F10AC/1X/1, so that Philip Vincent and others could ride it for the first time. 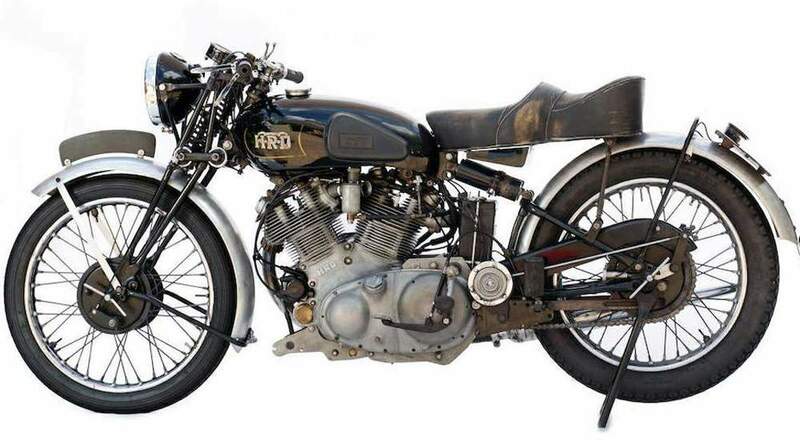 Journalist Arthur Bourne of Motor Cycle was on hand to give it a test spin before returning to the magazine to write the first words about this revolutionary new Vincent. Photos from that day show some pre-war parts temporarily fitted to allow testing, including the rear seat stays, mudguards and number plate. In the ensuing months, the test hack was crashed, repaired, broken, repaired, etc. until it had demonstrated the design's strengths and weaknesses. Later that year the first production Series B's were coming off the assembly line and 1X was relegated to duty running errands as a sidecar outfit at the Vincent works. Then in 1949 the British military wanted to test an 80bhp engine for assault boat applications, so 1X went to Vincent's race shop where foreman Denis Minett – as detailed in his published book of notes –hot-rodded the engine, removed the gearbox via band-saw and renumbered the cases F10AM/1X/1468, the 'M' because it was now a Marine engine, overstamped on the previous 'C', and the '468' simply added to the existing '1'. The government evidently decided to not pursue the matter after testing and the engine was returned to Vincent. Lacking a gearbox now, not much could be done with a racing marine assault boat engine, so it mostly sat. 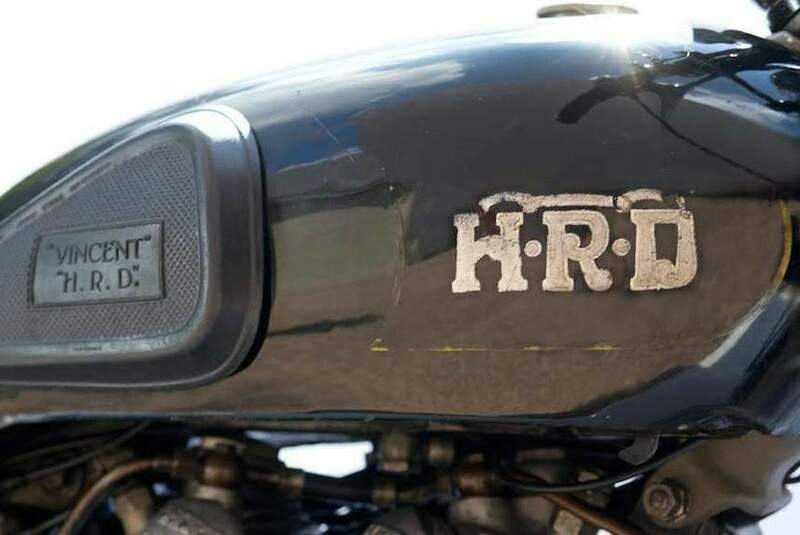 Little is known of its history afterwards except that it is reputed to have been raced as a hill climber and sprinter, using an AMC gearbox attached by plates that it still wears today. 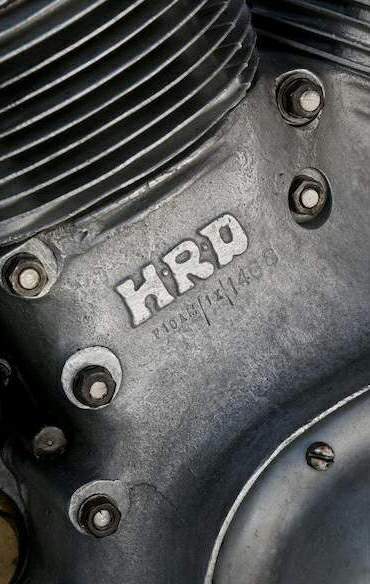 Long thought to have been scrapped, 1X resurfaced decades later in a British online auction, but just the engine. 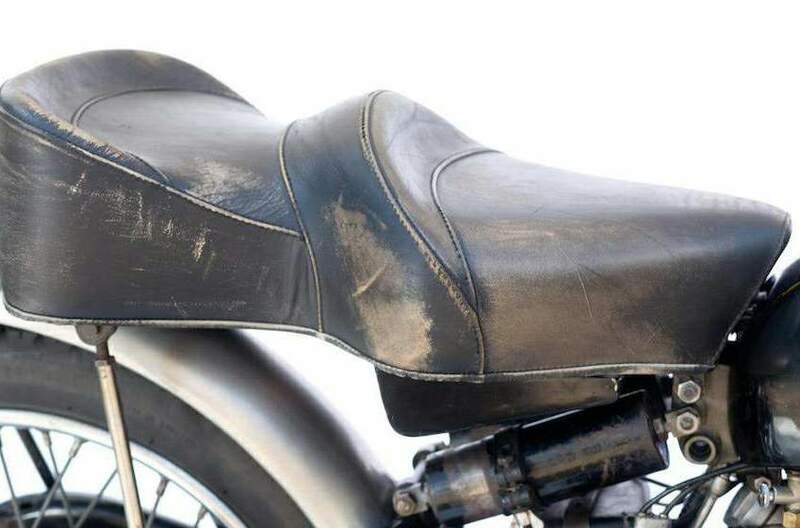 The balance of the original prototype motorcycle was long gone according to the owner of its registration number; in his words, "not a washer" of the original cycle parts remained except the log book. 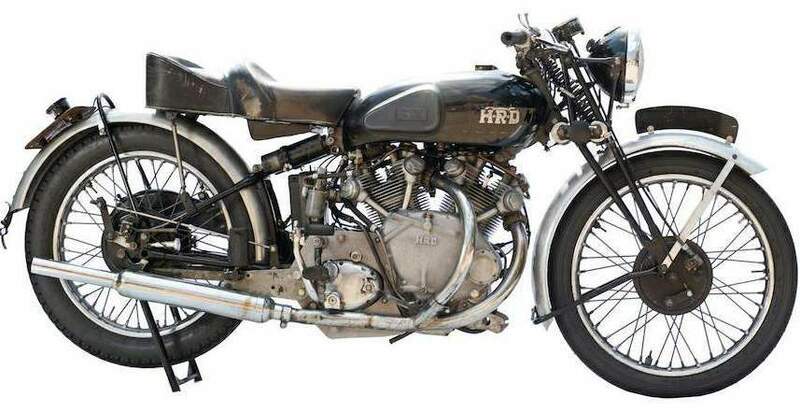 Harris purchased the motor anyway, but soon realized that such an important piece of Vincent history deserved a fitting home, so with the knowledge and permission of the Vincent HRD Owners Club he undertook to refit the original combination of Series A and B parts to make the unit a complete, running motorcycle again. 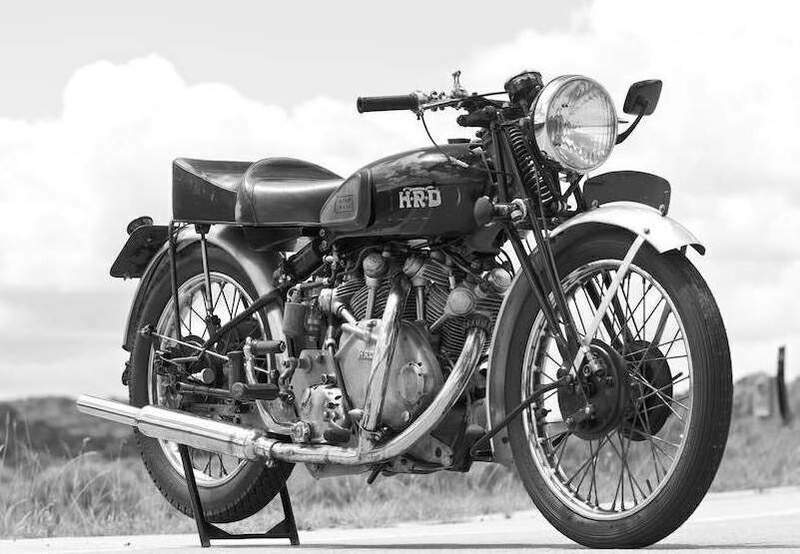 Using those 1946 photos as his guide, Harris has recreated the very first post-war Vincent, the blueprint for some of the most important motorcycles ever, one that looks as if Philip Vincent himself has just parked it after a spirited test run.